Triple Eight boss Roland Dane has provided further insight into the decision to suspend development of the V6 twin-turbo. It was confirmed on Friday morning that plans to develop the engine have been placed on hold, with Holden Motorsport satisfied with the Holden Commodore ZB in its current form. Work on the new engine began in 2016, with a public debut at last year’s Supercheap Auto Bathurst 1000 in Triple Eight’s Sandman. 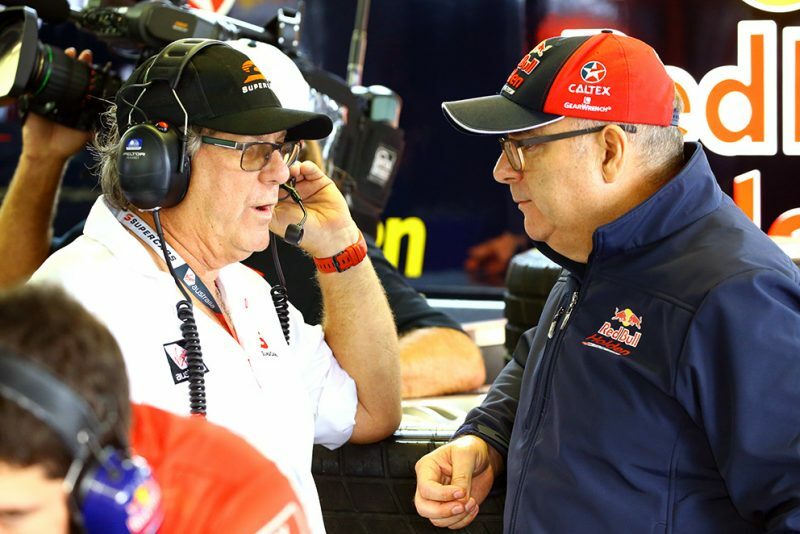 Triple Eight and Holden Motorsport had been working in partnership to develop the new engine, though the project has has not been formally scrapped. “The project’s suspended at the moment, we’ll see what happens in the future,” Dane told Speedcafe.com. While the alternate engine component is now set to take a back seat, the underlying Gen 2 regulations remain firmly in place. “I think that Supercars made it very clear that you can bring any engine configuration you want forward as long as it fits into the parity parameters that the category runs under, so that door’s very much still open for anyone who wants to do that,” Dane said. “Without Gen 2 rules we couldn’t have done the ZB anyway; it’s a five-door vehicle, a different configuration. The decision to put the V6 development on hold has been endorsed by Walkinshaw Andretti United boss Ryan Walkinshaw. “The V8 engine is synonymous with this category, there is so much history and passion surrounding it, so it’s fantastic to see Holden and the sport listening to the fans,” Walkinshaw said. Supercars CEO Sean Seamer maintains the door is open to new manufacturers and engine configurations going forward. “We celebrate what we have, but we will continue to encourage and welcome diversity of manufacturers and power plants,” Seamer said. “We are open to, and Gen 2 rules allow for, different engine configurations, induction methods and car shapes. Within that, our focus is on delivering the best door to door racing in the world. “In fact, the ZB Commodore, being a five-door car, could only have been homologated under the Gen 2 rules.